Is your front door Invincible? No matter how clever the design, they still need a central fixing hole to secure them in place in a door. There’s typically 80% less metal in this area than in the front or back of the cylinder - that’s why snapping them is so easy. By changing the shape of the cylinder base our designers have been able to address the area of weakness, not only giving cylinders a fighting chance against the burglar but adding strength where it really counts. The ERA hook multipoint lock with Invincible profile delivers a level of smoothness and reliability that can only come from over 15 years of experience designing and building MPL’s. The Fab&Fix Balmoral handle with Invincible profile is as resistant to the elements as it is to intruders. Best in class prohesion testing results and stunning aesthetics have made the Balmoral the UK’s best-selling MPL handle. Why not just have a standard three star euro cylinder? Because so many just don’t work… ERA Experts have tested a wide variety of 3* euro cylinders in our test laboratory and the failure rates have been startling. 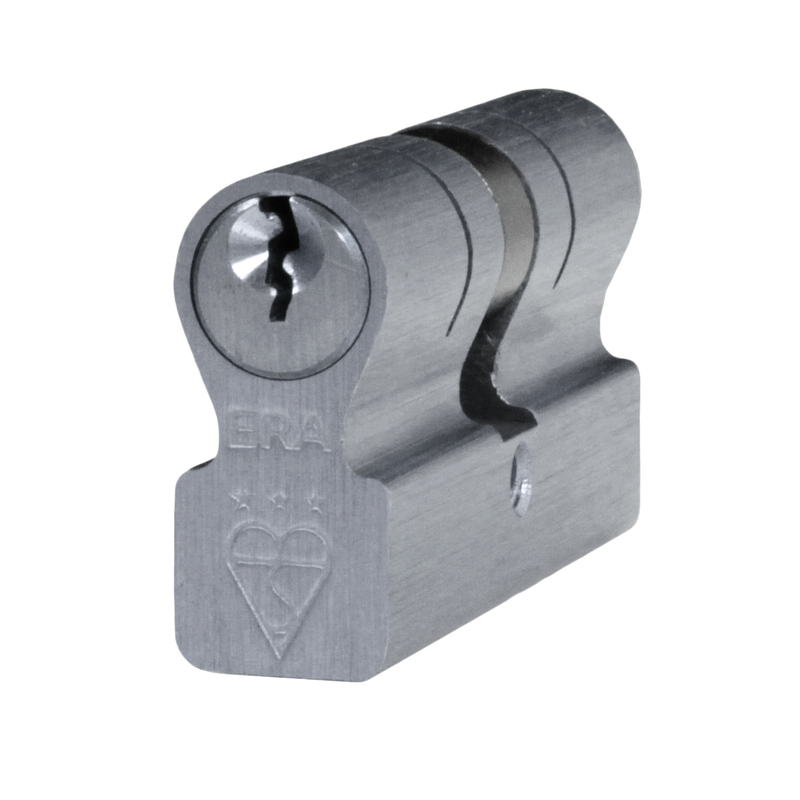 The few 3* euro cylinders that do resist attack use a sacrificial section, so even if they prevent break-in the homeowner will still need to call a locksmith to gain access to their home. The proof of the pudding... is in the testing! ERA operates one of only a handful of test centres in the UK that is accredited by UKAS accredited laboratory (registered number 4052) to test doors and windows. It means we’re approved to independently test to PAS 24:2012 certification – the UK gold standard for door security, to those doors that pass these stringent tests. The Invincible Door Security system can withstand over 15 minutes of sustained attack without the use of a sacrificial section - so when the intruder has given up and gone you can still use your key to open the door. Research suggests that intruders commonly attack the softest target. The unique and robust shape of the Invincible cylinder will make any burglar think twice before they’ve even taken their tools out of the bag. Better to try next door than risk a time consuming failure. The Invincible Door Security System is fully covered by the ERA Total Security Guarantee*. In the unlikely event of a break-in to security hardware failure, we guarantee a full replacement of the damaged window or door plus a £5,000 compensation cheque to the homeowner for the inconvenience caused. So finally, Britain’s homes can get the security they deserve.